Q1: You have been with Mansmith for over 10 years, what was Mansmith like before and after you took over? A: Back when it was founded in 1990, Mansmith was inspired by a simple passion for learning – i.e., learning beyond textbooks, learning from experts, learning about what matters in business, among others. There was an opportunity for a training company to concentrate in the area of marketing and sales which was sort of against the grain that time, as all other training companies were offering all sorts of courses without specialization – like journalism and creative writing, credit and collection, together with marketing and sales. Executive education was not popular then as companies saw training as a cost rather than as an investment. It was important to focus on a target market whose needs we knew so well and to get the best speakers and consultants to offer the most relevant and updated training courses needed by the industry. For Mansmith, this kind of focus and specialization has not changed over the years as the industry took notice then and up till now. What has changed is how we grow with the times, with the way we communicate with our clients, with how we keep ourselves updated with the latest development in executive education while never losing sight of how we came to be in the first place. As entrepreneurs in the training industry, we saw everything as a challenge to be overcome, and we had the energy, the drive and always the inspiration to make things happen. That kind of passion is priceless and incomparable. 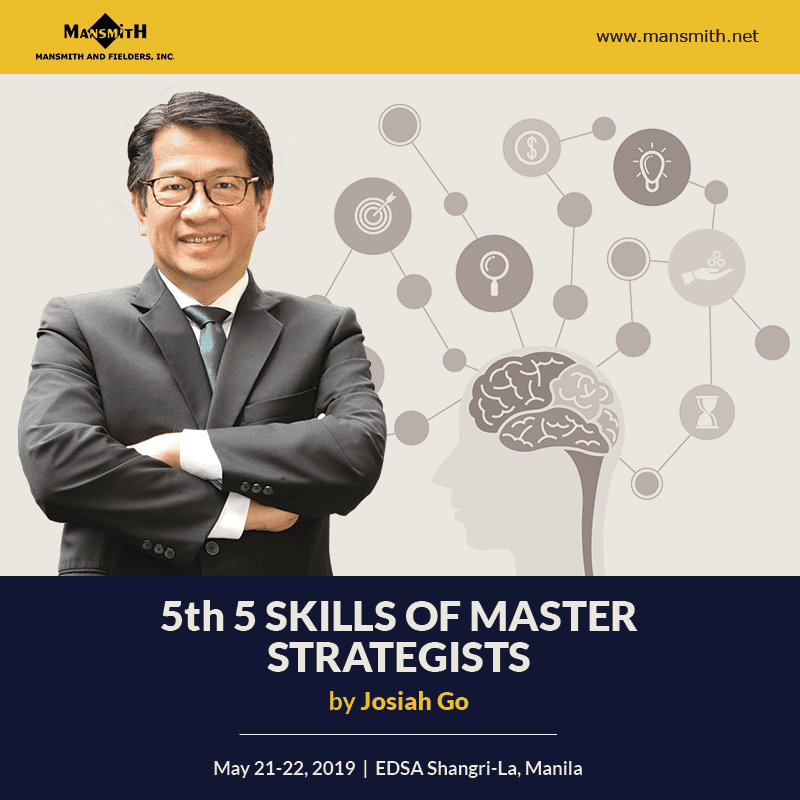 Before I took over in 2004, Mansmith was like a favorite hobby of Josiah where he enjoyed developing programs — based on the latest in knowledge, based on his access to the industry and its stalwarts and based on actual experience gained from growing his entrepreneurial business. 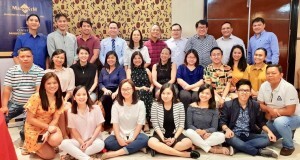 By then, Mansmith had already gained some prominence as partners Rowen Untivero and Emilio Macasaet III joined him to handle the sales, key account and distribution courses that were key topics in the marketing and sales curriculum. 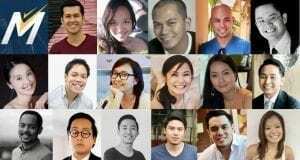 (I came in later to handle the service and execution programs and other consultants such as Malu Dy Buncio, Poch Cid, Frances Yu and Donald Lim joined us to complete the curriculum in direct selling, market research and insighting, retail marketing and digital marketing.) 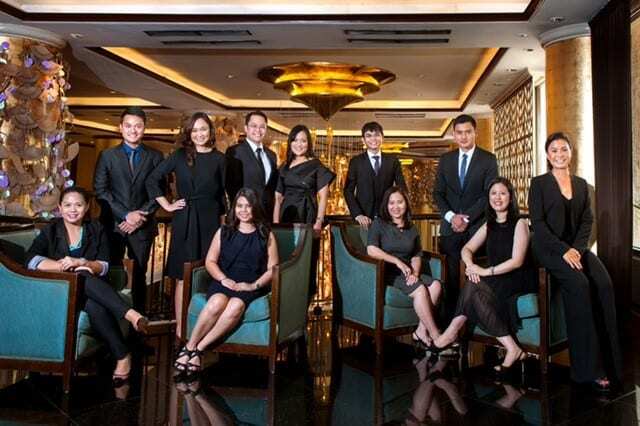 With that kind of a powerhouse team, I was ready to grow Mansmith from a hobby that was already doing well, to a business that solidified its position as the lead marketing and sales training company in the Philippines. Mansmith grew by 400% the first year I took over – just by thinking bigger and by what I call “cleaning up” so we have more space and time for more relevant activities and programs. Just as we thought the path had become clearer on where we wanted Mansmith to go, my hands-on approach brought me to an even bigger insight that transformed the business into an advocacy-focused training company. Q2: You surprised your friends when you chose to be a housewife and took care of your children, then took an early part-time job as an Insular Life insurance agent where you became your agency’s rookie of the year before joining your husband in Waters Philippines. Can you share this phase of your life? 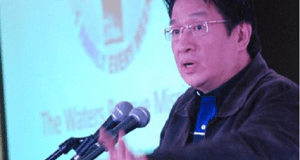 A: I guess our friends were more surprised that I, a Filipino woman and Josiah, a Chinese Filipino man, got married at a time when such mixed marriages were not as yet acceptable. Or that fresh out of college, I chose to settle down and not work despite my not-bad-at-all resume as a student leader in the Student Council and yearbook editor-in-chief in college. I think that clear choice is what you call love. Now back to regular programming… I was a housewife for ten years – because I loved every moment I spent raising our four children and because I was blessed to have a husband whose income could support us all. I had friends, yes, who knew what I could do and felt I was “wasting” my life being a mother and wife, which I felt was a compliment for their belief in me rather than take offense for them not valuing what motherhood meant to me, because I never regretted that ten years of my life. Then again, that was 30 plus years ago and times have changed now as more women are claiming their motherhood with pride. I got into insurance as a part-time option as my kids were mostly in school – part-time because I wanted to be home when they came home. Since I valued my time with family, I was very focused on my prospecting because I wanted to make sure I was productive every time I left the house and to spend the minimum amount of time needed to close the sale. Because of that clarity of purpose, I had a 90% closing ratio and was able to bring my mother to an Asian trip abroad for qualifying in an incentive trip. 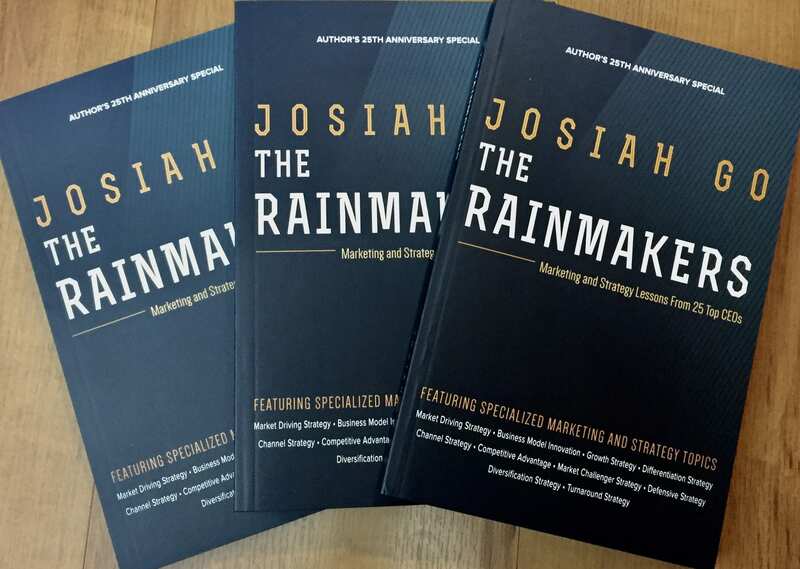 I guess Josiah realized he needed me more in the family business after that and in 1996, I became one of the managers and then Executive Director of Waters Philippines. Q3: Early in Mansmith, you converted it from a mere marketing and sales specialist training to an advocacy-based company, what was your insight for this move? A: When I first handled Mansmith, I needed to know everything from scratch – how we generated sales, how we used technology, how we created presentations and handouts, how we coordinated with suppliers and all other aspects of the business. This required a very hands-on approach in my case as I would personally deal with clients (and suppliers), and go through evaluation forms to see what they say they liked or would like us to improve on. (I still go through each and every evaluation form until today.) I took these things to heart as I know that excellent execution in all our programs is a reflection of our standards of professionalism. With that simple change brought about by a powerful understanding of who we are to our clients, we have evolved as an advocacy-based company that saw the creation of the Mansmith Young Market Masters Awards (YMMA, that recognizes outstanding marketers 35 years and below) and the Mansmith Market Masters Awards (MMMA, that recognizes outstanding mentors of our YMMAwardees), the Mansmith Market Masters Conference (where 100% of net proceeds go to advocacy programs), (co-founded) MarkProf Foundation (free training bootcamp for graduating marketing students as a resume equalizer for those not coming from exclusive schools), Association of Marketing Educators scholarship (for marketing professors), Day 8 Business Academy (free or pay-what-you-want training for SMEs) and more recently, the Women Center for Achievement, Research and Entreprensurship (or WomenCarePh, which is focused on gender-related issues). I believe we are the only company in the world that has this many advocacies under our wing. We’re very happy doing this and very honored we are able to pay back to the Philippine marketing industry which has affirmed us all throughout these 25+ years. Q4: Tell us about Mansmith Young Market Masters Awards (YMMA) and Day 8 Business Academy? On the other hand, there were two triggers in the creation of Day 8 Business Academy. 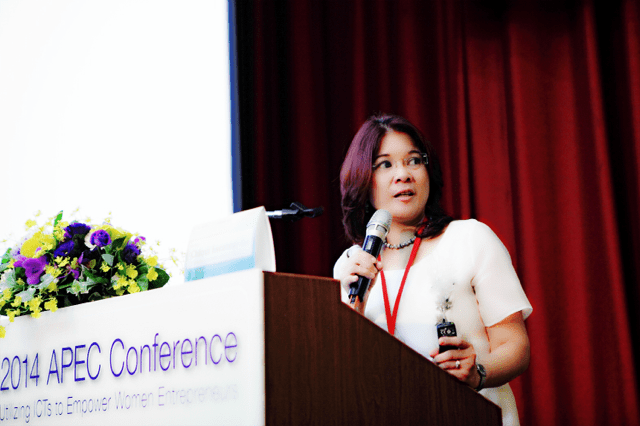 One were requests we were receiving from people who wanted to attend Mansmith seminars but found the course investment beyond their personal budgets and the other was from an insight we got from the free consultancy programs we had with Entrepreneur Magazine and BusinessWorld which we called Marketing Rescue. 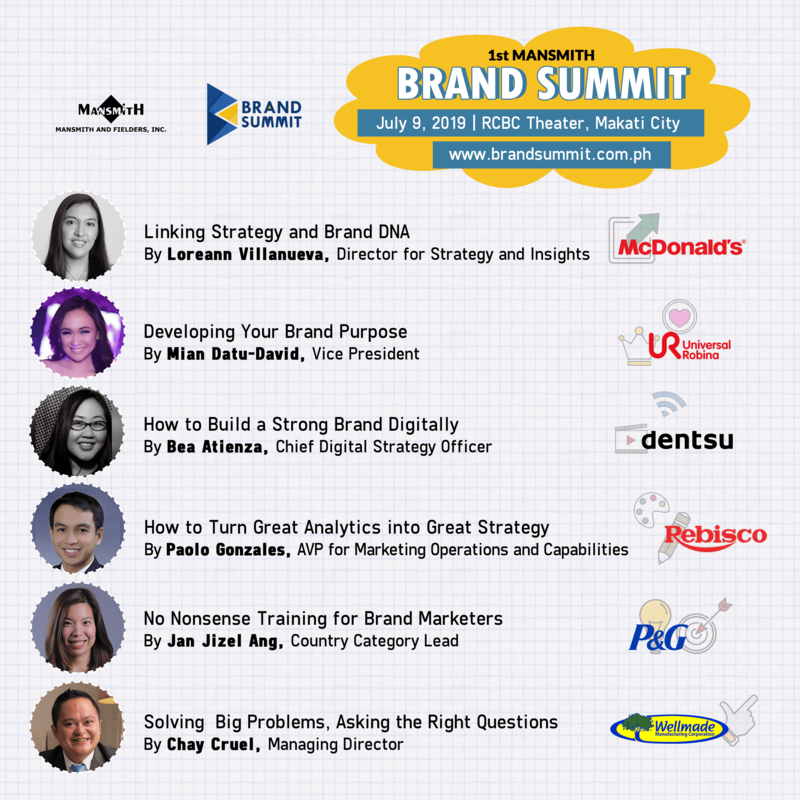 In the latter, participants were required to send their most pressing marketing or business-related questions and the Mansmith consultants will answer them at a forum for free. We found how some questions could be very basic and we were concerned for them that if they were already running businesses and still had such basic questions, then their business were at risk without them even knowing it. So we thought of creating Day 8 which is catered to small and medium enterprise (SME) business owners, where the courses are 3 hours short, they can take whatever courses they need without prerequisites and at a token price of only P488 or even for free if they tell us their business is losing. Day8 is now on its 6th year. Q5: Tell us about this latest Mansmith project, the Market Masters Awards for senior marketing people. A: The Mansmith Market Masters Awards (MMMA) is a recognition of the power of mentorship. 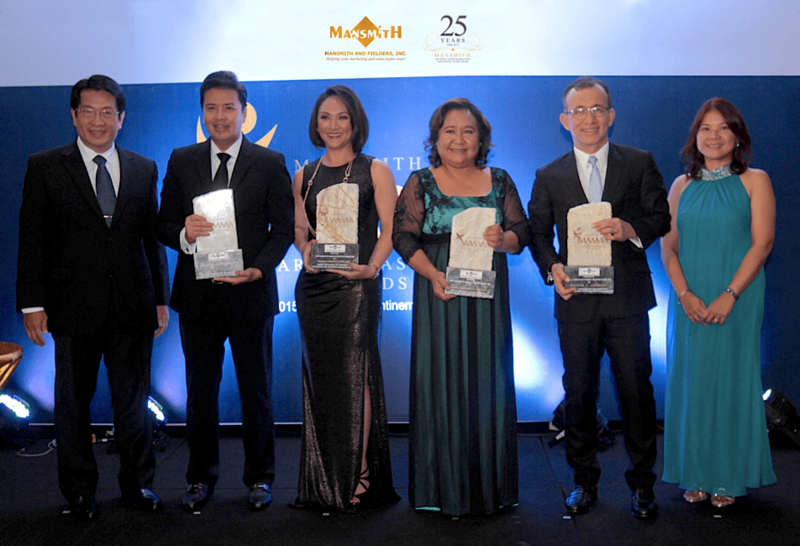 As the MansmithYMMA celebrated its 10th year last year, we realized how our young awardees consistently paid tribute to their bosses who helped mold them into the young achievers they are today. This was not lost on us as we realized the important roles mentors play in the lives of our young marketers – who not only trained or taught their team how to do excellent marketing but also the values of hard work, creativity, commitment, trust, teamwork and business ethics. Thus was born the MMMA, where the winners can only be nominated by a MansmithYMMA awardee. Q6: You wrote a ‘Taglish’ bestseller, Small Store Marketing, what got you to do this? I then put all these together in one book that is easy to understand and more importantly, doable for any small store owner- whether in bazaars, food stalls, groceries, etc. I have since been giving free talks on this topic to micro business owners in Laguna, San Mateo, Taytay, Antipolo, and Quezon City organized by Ahon sa Hirap Foundation, Kuya Center and DTI Rizal. Some private manufacturers have also sponsored my talk for their own customers and had distributed my book among their small store clients. Q7: Many successful people are separated (or annulled/divorced), how should spouses work together to avoid conflict and ensure harmonious relationship? A: All relationships are works in progress – you don’t want to stop growing or stop trying. I think because we take relationships for granted we don’t put in as much effort as we do to our jobs or hobbies. When we know we have to take care of something, we must give it attention and we adjust or do things to make things better, while realizing that relationships are always two-way, or give and take. That said, for spouses working together – a lot of communication will need to be done and in this case, it really helps to listen to each other and to talk things out never out of anger even if the discussion becomes frustrating. Included in this effort to communicate is never to point fingers (walang sisihan) and always knowing how to say sorry and accepting it graciously (remember walang sisihan). While work and personal time are difficult to separate in relationships of couples working together, boundaries must be set so the relationship takes precedence at all costs. Most important is the role of prayer and having God in your relationship all the time because really, maintaining a marriage while managing a business could really be challenging if not daunting. Of course, as I always advice young people, you need to know what you want and to be clear on your choice of a spouse from the very start (instead of trying to change each other along the way). When you know what you want, you will choose a partner who shares responsibilities and power with you (important at work) as well as common joys and vision (important for the family). So choose well from the very start. Q8: You are an advocate of positive communication, also called appreciative inquiry. You also promote Kythe’s child life program, service excellence, gender diversity and equality, wearing-your-culture as well as animal welfare. After finishing a master’s degree in English and Literature Teaching at the Ateneo, you are now finishing your thesis to complete your master’s in Anthropology at the University of the Philippines. What is it that drives you? A: Being able to use whatever talents and opportunities God has given me is what drives me. How can one do any less than what one is capable of, or is expected of? I have been described as too intense by people who do not know me enough to understand that that things I do are out of gratitude for the many blessings I have received and, more importantly I am happy being able to stretch myself so I keep learning, I keep growing. A lot of things I do, I also do out of charity and a sense of service. Why would I do those half heartedly? For me, these are the things that count toward true happiness. Being positive therefore is a choice and a way of life and when you choose happiness, you are simply forever grateful for being able to live life fully – by doing good and doing well, especially for others.